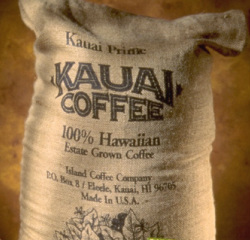 Kauai Coffee was launched by Alexander & Baldwin to diversify their extensive agricultural holdings from sugar cane. Volcanic soil, abundant water, cool trade winds and advanced farming practices make for consistently high quality beans and a smooth, mild coffee that was not bitter like Kona. It is currently Hawaii’s largest coffee grower at 3,400 acres. Alexander & Baldwin had an immediate need to transition away from trade and retail perception of the product as a commodity blended into much larger coffee brands. In the long term, they needed to attract a new crop of discerning consumers that desired premium coffee from Hawaii. The smooth, rich character of the product needed to tie into the unique location from which it was grown. Work was initiated on a brand re-launch, including strategy, research, planning, naming, brand identity, packaging, sales support, print and web advertising, PR and a new Visitors Center near the coffee orchards in the town of Eleele. Initially research was conducted with trade, retail and consumers to understand how coffee from Kauai was perceived versus the competitors. 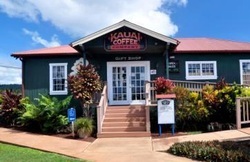 The name “Kauai Coffee” was the logical choice to distinguish the brand from Kona and other premier coffee regions. The tagline “I Wahi Kope Nau?” (Would You Like Some Coffee?) and iconography such as the hula girl signing the word for home and use of local quilt patterns were included to establish a strong cultural connection to the brand. New brand identity and packaging components were developed, along with new sales literature, in-store displays and advertising. Trade PR addressed the distinctions of the product and were supported with print and video materials. A new Visitor Center was built with signage integrated into the new brand identity. The resulting brand increased volume twofold within two years and exceeded expectations financially. 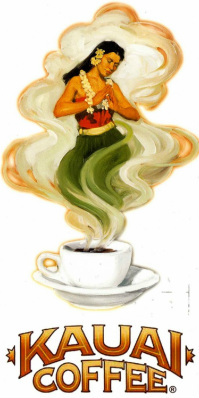 It continues to this day to provide a warm welcome to coffee lovers from around the world.